When I think back on 38 years of human existence, l feel that I’ve managed to cultivate an abundant life. I am blessed with a beautiful marriage and family, and have the time and resources to pursue personal interests and passions. I am fulfilled by my work on a multitude of levels and am surrounded by the highest-caliber individuals. I have also worked to eliminate negative people and energy from my circle. I didn’t “adult” the traditional way. I chose a fine arts education over what many would consider a more conventional or practical degree, and spent the majority of my 20s following my heart. Appeasing my curiosities instead of getting a “real job” and rejecting the rat race and the white collar corporate climb my parents would have preferred meant that I experienced more lateral than vertical growth early on. This alternative route allowed me to build a professional career on my own terms in which I enjoy everything I do, but don’t really have days or time off. I don’t have a defined workweek. There are no boundaries except for the ones I create, which is sometimes difficult to do. People (including myself) often question how I have the energy to do it all and whether it’s worth all the trouble. At this point, I’ve concluded that if I didn’t love all I do, I wouldn’t invest myself in it. This article is for those who might be in a similar situation. How do you juggle all your responsibilities and interests without burning out? 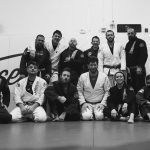 I teach, sell, practice and compete in BJJ. I observe, analyze, problem solve and strategize in consulting. I try to be a good wife and mother. And I love all of these roles. I want to be good at all these things. Having the desire to be good at my work means I care to invest positive energy into all these aspects of my life. If I didn’t have love for these roles, I wouldn’t have the resilience to work through the tough times. I also know that the roles require varying levels of work from me, so I always consider the long game when I feel frustrated. It’s not easy to do, but I try to wear one hat at a time, even though I have so many. I do this purposefully to honor the work I do and to build up reserves for the other projects I have to consider. If I’m teaching, I’m teaching. I’m present and watching my students keenly. I not brainstorming consulting work. This is especially important and most difficult when I am working at being a good mother. If I give myself time to focus on my children, then I try very hard to just enjoy whatever it is we are doing. If I’m trying to work on projects or do housework while I’m supposed to be playing with my kids, I get frustrated and impatient when they ask for my attention because I’m focused on something else. It’s not fair, and I’m not being good at anything in that moment. Give each role the attention it deserves. I have the luxury of managing my work throughout the day in the way it suits me best. Outside of physical obligation at my school during preset times throughout the week, I have the freedom to make my own schedule. I may choose to work on consulting projects for a few hours in the morning, then take a break to write for a couple of hours. Perhaps I hit a writer’s block, so I head out on a one-hour bike ride to clear my head and listen to a podcast. The podcast is often a more passive form of doing research for a consulting project I’m managing. When I return to my writing, I can come back with fresh eyes. Forcing yourself to hammer away at one thing for too long without giving your mind a break will eventually lead to feelings of resentment and burnout. As you get better at what you do, pull junior people up and train them to do part of what you do. Empower yourself to create a support network for yourself and offload responsibility to take on higher-level work. 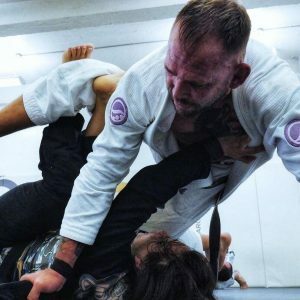 If you’re a BJJ teacher with few resources around you, find a senior student who is a good role model and train them to run warm-ups for you. It will give you a 10-15 minute break that will allow you to prepare to give a great lesson. Trust your help — their success is your success. They are looking to you for guidance and growth and you can lean on them to do your job better. If you are working for someone else and are lacking the information or power to do your best work, ask for clarification, or ask how you can be of most help to them. Hanging out in the void helps no one. The my growth = your growth method works well with secure, solid, grounded individuals. Maybe you aren’t in a position to take regular vacations. This will eventually wear on you. Treat yourself well and give your body and mind a break periodically. When I have extended periods of work and feel my energy reserves being drawn down, I might schedule a few hours at the Korean Spa. I go alone with a book and spend the time reading in one of five different saunas, occasionally coming out to cool off, grab a bite, get a massage or take a nap. Before I go home I spend a few rounds soaking in their hot tubs and stand in their cold shower. Using extreme temperatures (hot and cold) to train the nervous system can be extremely beneficial. If hot and cold isn’t your thing, go to the movies or take a long walk in nature. Don’t bring your smartphone. Resist the temptation to stimulate your mind artificially and decompress for a while. Additionally, in times of extreme stress, allow yourself a “give.” My gives range from chocolate cake from my favorite bakery to a pedicure or shopping, but they are momentary pleasures I allow myself when my obligations and responsibilities are heavy and tight. As teachers, we spend a lot of time giving our energy and attention to others. It’s vitally important to refill our own wells. The most important person in your life is you. If you aren’t taking care to improve skills or level up, you can’t expect to give your family and community increasingly better quality work. Don’t fall into doing everything for others all the time. If you’re a teacher, remember to give yourself the space to be a student and allow yourself to be inspired. Sign up for classes or workshops that will equip you to be a better professional. Leaning among your peers and sharing ideas is incredibly fulfilling and the residual payoff is that you enrich the community around you. It’s very easy to plateau at any stage when you are just treading water with what you have vs. making the investment to learn more and be more. Writing has become a really helpful and necessary outlet. In the beginning, I felt silly writing down anything at all, but sometimes we have no one to relate our problems to, or we want to refine what we want to say. Writing has given me a platform to express and evaluate my message. It’s also a medium that allows me to connect with people outside my immediate physical circle. I can check in with friends for advice who live far away, or I can post my feelings on my blog and feel interconnected with a greater community. Words are not just for us to tell everyone else what we’re thinking or feeling, they can express a powerful internal dialogue as well. If it feels impossible, start small. Everyone deserves and needs a break. Start with half a day, a day, build in a week, then more. But when you take a break, take a real break. 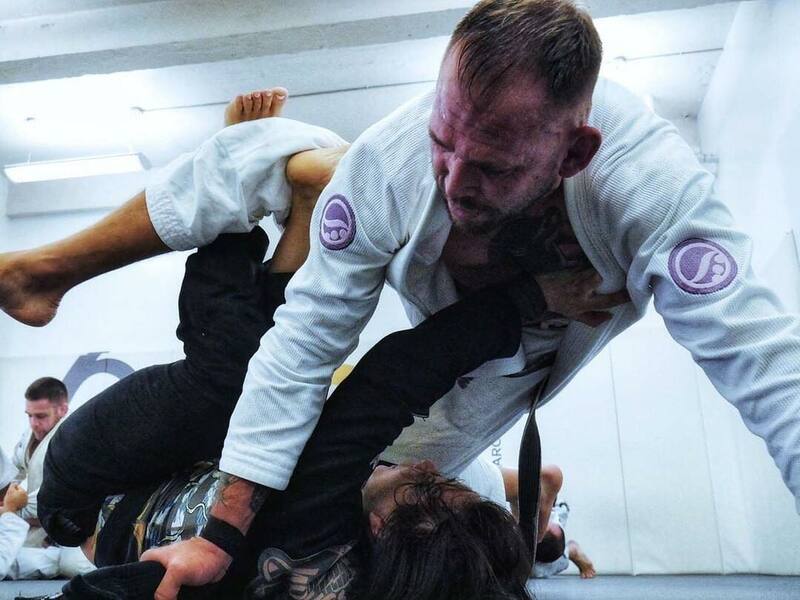 When I take a real break, I don’t teach or train BJJ. I leave my phone at home, I just forget who I am and try to enjoy whatever I’m doing in that moment. 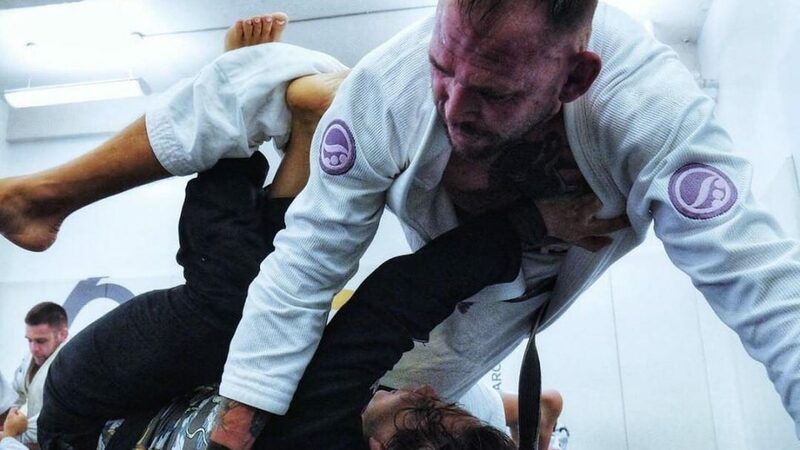 Taking a vacation ceases to be a vacation the moment BJJ comes into the picture. It’s a slippery slope. I only say this because BJJ isn’t just a recreational hobby for me, it’s part of what I do professionally. It’s less about the act than it is about the association to my work life balance. There are days I feel like I’m going crazy, and when I’m on that threshold I’ll take a daytrip with my family to botanical gardens or pick up a new sport like surfing. I just don’t allow myself to do the things that constitute my professional life.